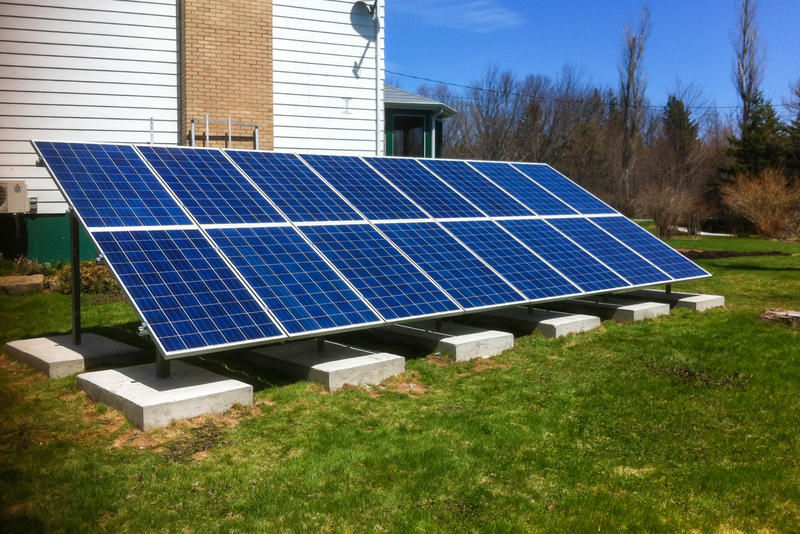 Appleseed can provide solar power installations for residential and commercial buildings. Either net-metered, or fully off-grid. Imagine having a product that will last for 30+ years, requires no or minimal maintenance over its lifetime, needs no fuel other than the light that already bathes our roofs, is easy to use and understand, doesn’t smell or make noise, pays for itself quickly, grows in value as energy prices increase, slashes or eliminates monthly bills, doesn’t pollute, is readily available, and is affordable. Sound miraculous? We believe it is a miracle, and this is why we got in the business of offering this to you. Our systems can do all this and more. 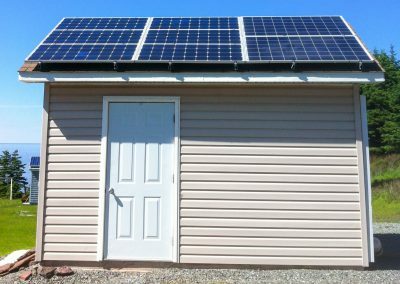 Our modular systems take the sun’s energy and convert it to electricity for use in your home or business. 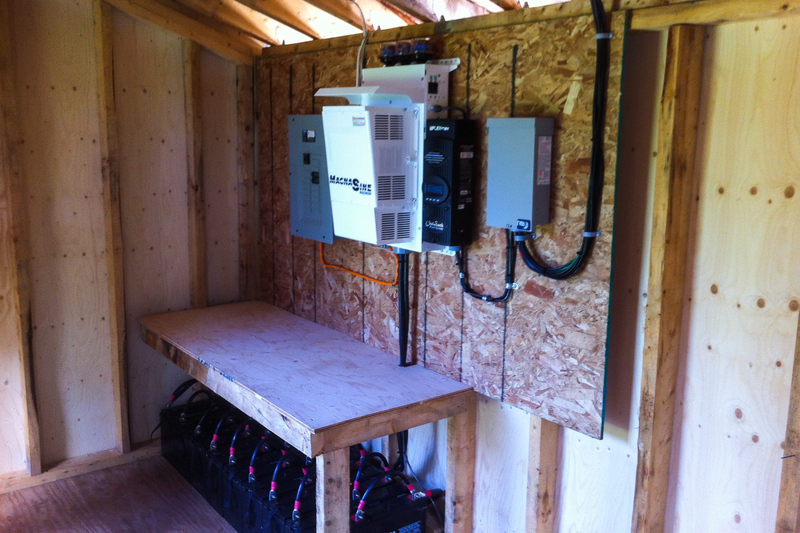 Each panel has a microinverter for grid-compliant energy, fed directly to your electric panel. 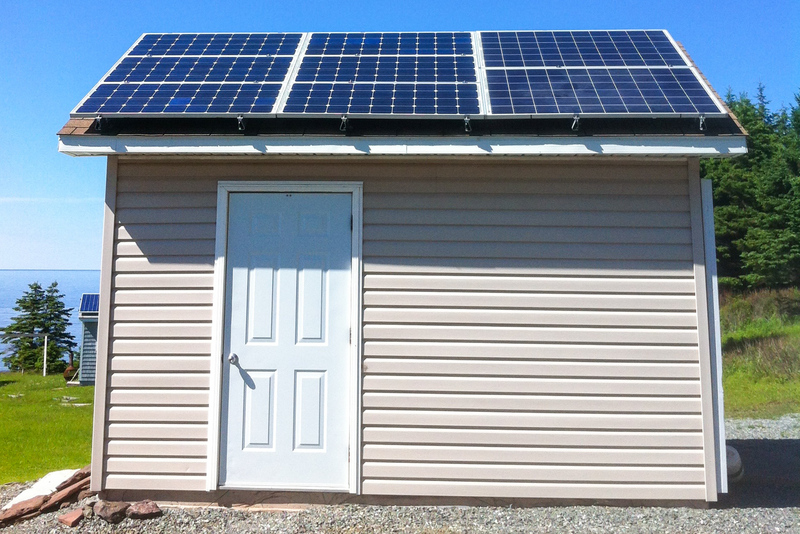 Your panels can be configured to produce all or any percentage of your annual electricity usage. With a net-metering agreement from Nova Scotia Power, when they produce more power than current consumption, the extra is sent to the grid for storage – credit — and can be redeemed when the sun isn’t shining. 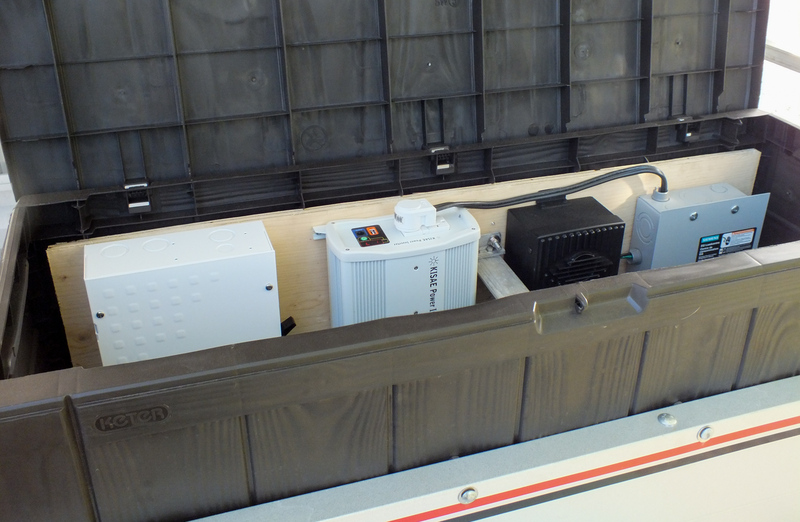 We can also be configured to produce and store power in a battery-bank, for use during power outages. At the end of the year you will only pay for any extra credits you used, and you may even get paid for excess power unused! 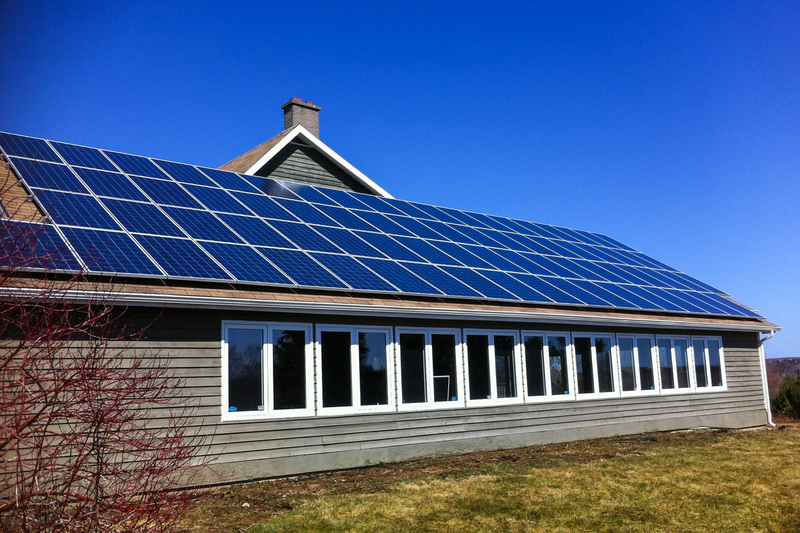 All our panels have a 25 year warranty to 80% of rated power and will last much longer. They are simple and ingenious, the closest thing man has made to a free energy machine. Okay, you get it, you’re in. The more panels you have, the more you can save. That’s why Appleseed Energy offers the opportunity to go off-grid. Full energy independence for your home and your family. Sounds good right? You’ve just bought a lovely piece of land, in a remote corner of our beautiful world — perfect for a holiday cabin or a year-round dream-home — and you don’t want to spoil the view with telegraph poles running heaps of high-voltage wires up your private road. 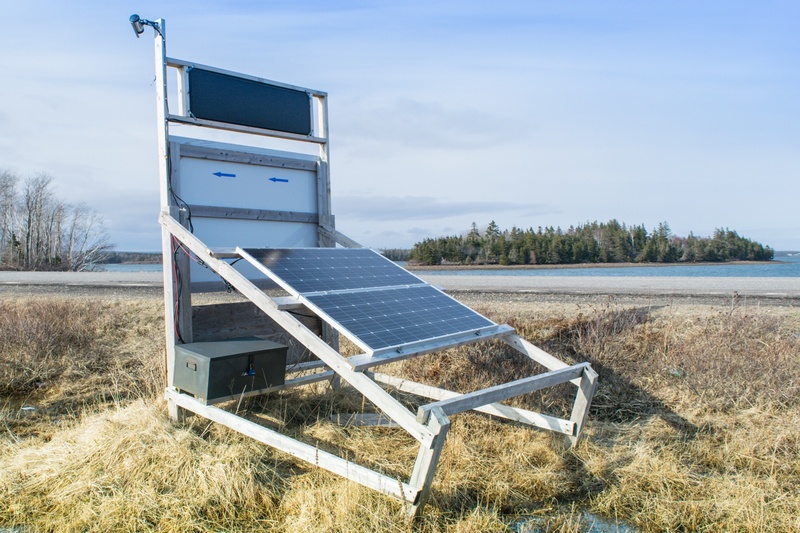 Appleseed’s off-grid package is the answer. Equipped with shiny new solar panels and ultra-efficient batteries, you’ll have discrete, safe, modern, trust-worthy energy for years to come. 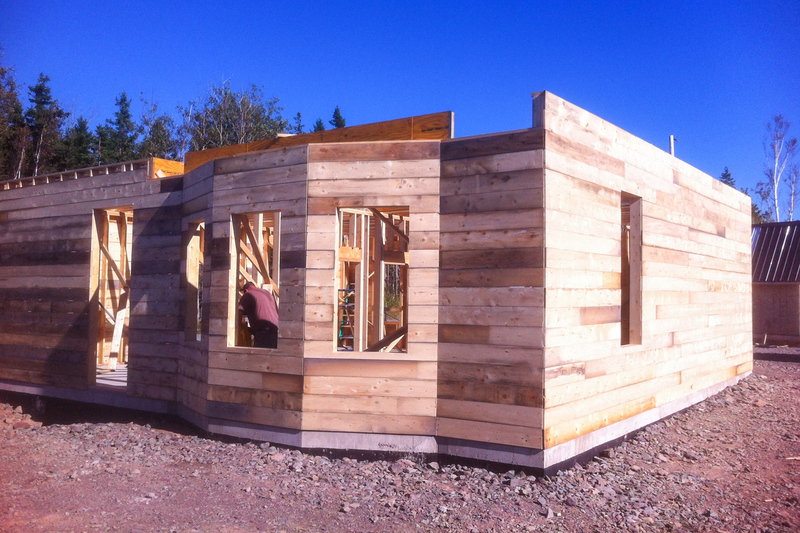 We have a lot of experience with these Off-Grid systems and can easily design, build and install one to suit your needs. We’ve installed all manner of solar solutions for our customers, ranging from golf carts to camper vans. If you are mobile and have an energy requirement, we can assist you. 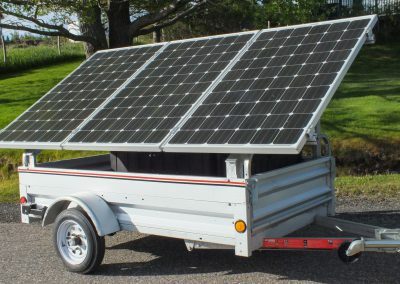 There’s plenty of applications for solar panels, Appleseed bein Appleseed, we’ve found a lot, from our popular range of trailers to golf carts and boats. We’re experts in solar installations, no matter where: just tell us where to stick it them. Appleseed Energy can convert your RV to an off-grid home away from home, no more noisy generators, no more extension cords. Cut the cord and be free to camp wherever you want with no restrictions; and when you are at home your camper can act as back-up power or free auxiliary power for your house or garage. With just a few panels, you can get 1kWatt of power. You can camp anywhere and still enjoy all the comforts of home. Any camper can be modified, contact us for more details. Alternatively, if you’re in the market for a new camper van, why not let us build it for you. We design and construct a range of eco-friendly “teardrop trailers.” 5ft high by 5 ft wide by 10ft long teardrop made with an aluminum frame, and wood construction, weighs 1400 lbs, complete with LED lighting, 12V DC and 120V AC power system. 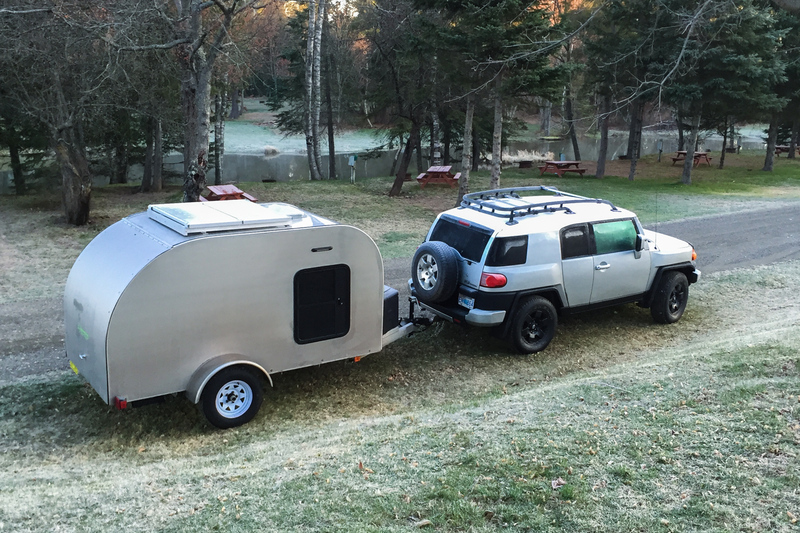 Our custom teardrops start at 200W solar power – enough to drive our custom-fit entertainment with Apple TV and 24″ HDTV …perfect for camping anywhere. We love the sun. It’s responsible for all the energy used on earth. And when it’s out, we like to play. 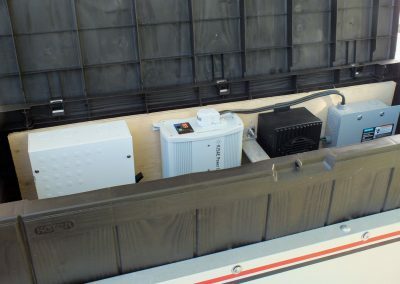 Appleseed have fitted solar-power to golf carts, boats, hunting hides, and utility trailers. If you can think of another application for solar panels, we’d be love to hear it. And we’d probably build it for you! 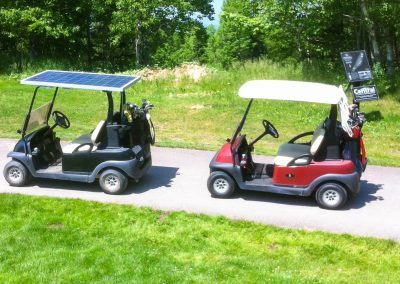 The Dundee Resort used our demo Club Car powered by SUNTOP and their golf pro went 150 holes over 14 days without recharging. It actually hasn’t been plugged in for three months! 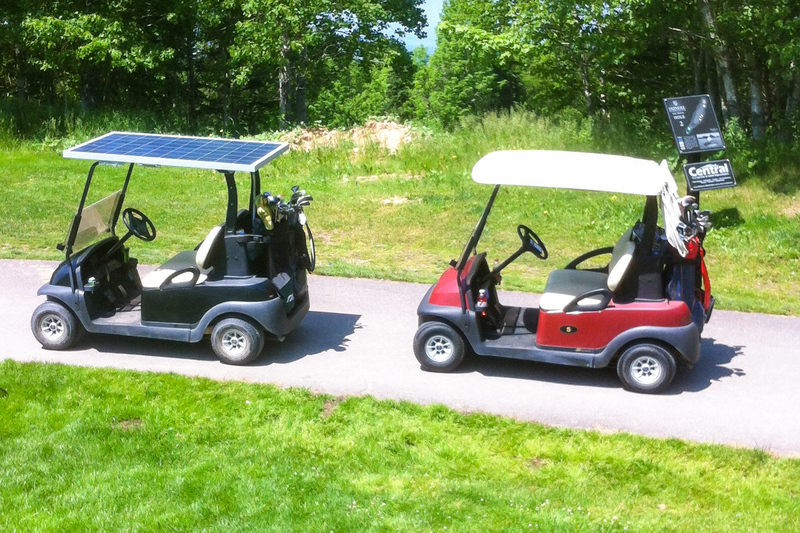 (non-solar powered golf carts normally get 27-36 holes before they need recharging). That’s 17% faster than a normal cart and 20% more range! Our solar panels even provide power when it’s cloudy as they’re still exposed to the sun’s rays. 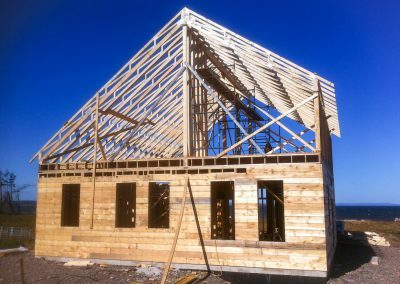 We also build houses. Custom-designed, eco-friendly, high-end houses. 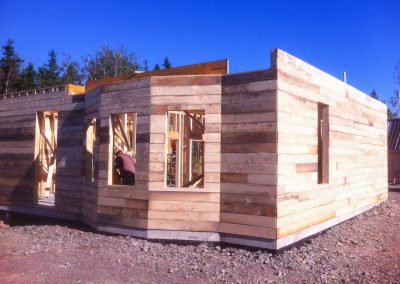 We enjoy building homes, especially houses that are energy efficient, green housing with different building materials or houses that are designed to be off-grid and have special requirements. We also want to continue helping home owners tighten their “envelope” to make their existing home more efficient. 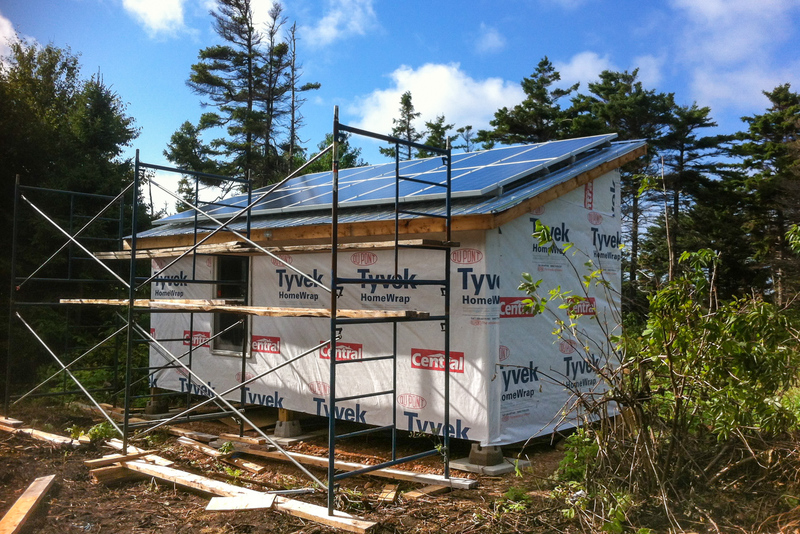 The best thing about our homes is they’re energy-efficient from the ground-up. It’s not an afterthought, we take it seriously, which means you save on energy consumption. The running costs of our homes are some of the lowest to be found anywhere. Have you dreamed of building a home to a high-level spec, that’s unique and meets your lifestyle needs. That’s exactly what we do. Every house is custom-built. Every building is different than the one that’s come before. 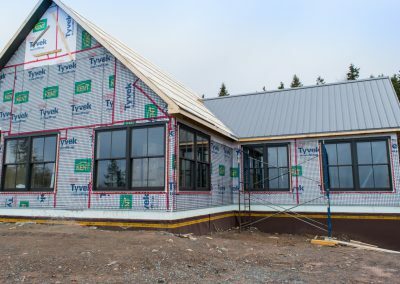 In 2013 Appleseed Energy built an off-grid home with straw bale insulation and in 2015 finished a traditional bungalow style home with ICF construction. 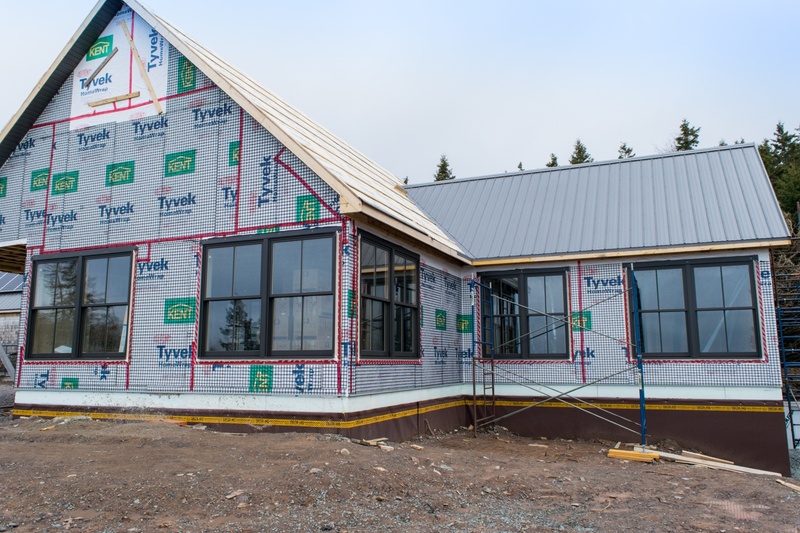 The bungalow has heat pumps, baseboard heating and solar PV panels to offset most of the heat and electricity required. 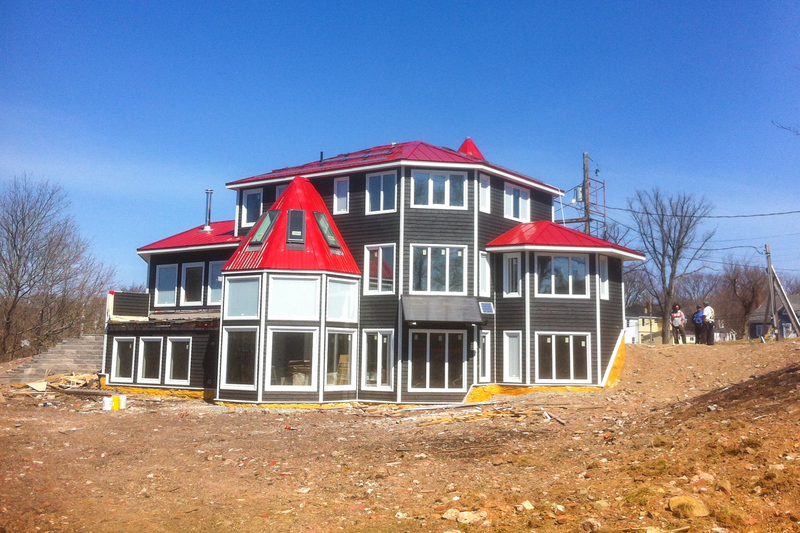 And now, we’re working on a home with a panoramic ocean view. To grid or not to grid? 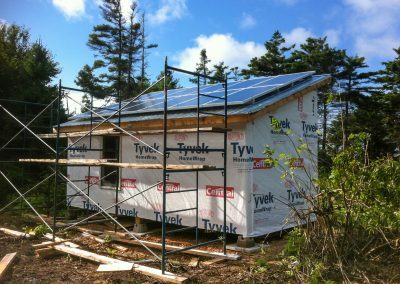 With an Appleseed build and a roof full of solar panels, you can make enough electricity to cover your heating and lighting and live in a traditional home with a power line from Nova Scotia Power, and only pay a fraction of what most home-owners do for power. 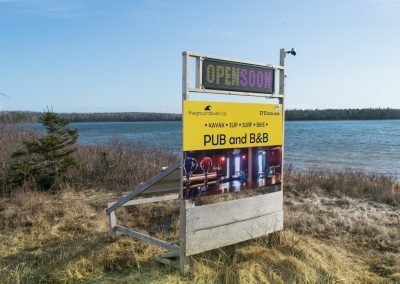 Or, if you have a dream piece of land in a remote area, it may be more cost-effective for us to build a full off-grid system than for Nova Scotia to run power lines over your property, and you can still run all those conveniences you need to fit your lifestyle, but you sill pay nothing in power bills. Smaller projects, as low as one panel or 15W, covering custom installs and mobile solutions. 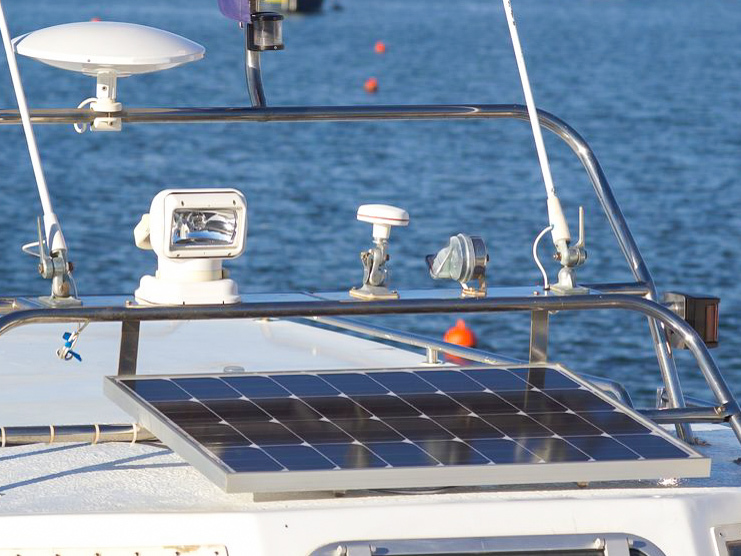 You’ve probably realised by now that Appleseed can put solar power anywhere you need it. The free, clean, silent, year-round, energy from the sun is ours to use as we wish, and now it’s yours too. We are fitting more and more smaller installations consisting of one or two panels for low wattage applications as people realise the benefits of trouble-free power in remote locations. 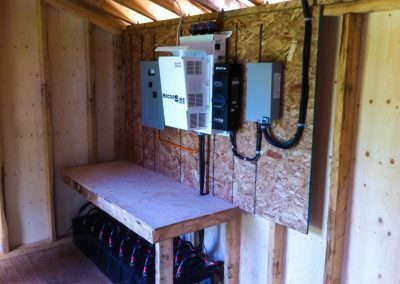 Oftentimes, there is no practical alternative to solar power: running power lines is not feasible, power cells are too expensive, and batteries are a headache. This is where Appleseed’s expertise comes in handy. We can spec out systems, with or without inverters, to comfortably power all manner of small devices. 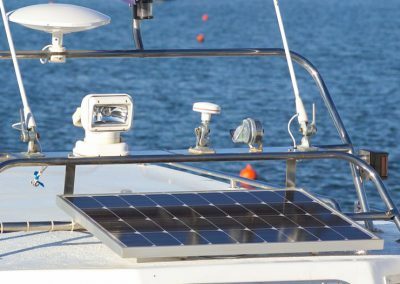 We’ve installed solar on small boats, out-houses, and advertising signage. These solutions are becoming turnkey, and very cost-effective, so please call if you have a project you would like to discuss. 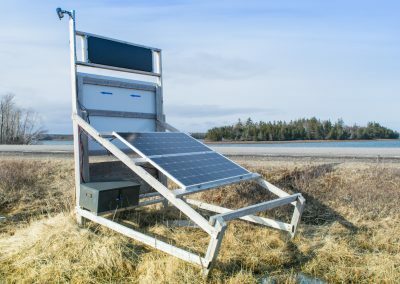 Solar is perfect for road signage, WiFi repeaters, concert-venue charging stations, hobbyist radio-controlled boats, drones, outdoor pools, and so on. Appleseed have a great relationship with each and every one of our customers. We think this is because we are honesty and transparent with them. We tell them what they’re going to get and then deliver it. We never oversell. Appleseed use the best-of-breed products and materials. This matters. Things don’t break. 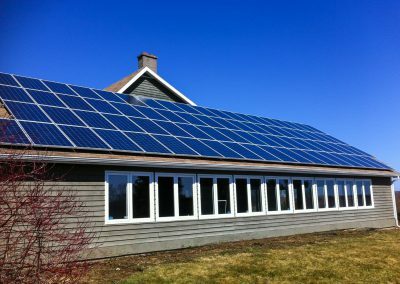 For instance, the solar panels we use on our house installations are warrantied for 25 years, and of all the thousands we’ve installed over the years, the ones we’ve replaced are still in the single digits. Now, that’s quality. 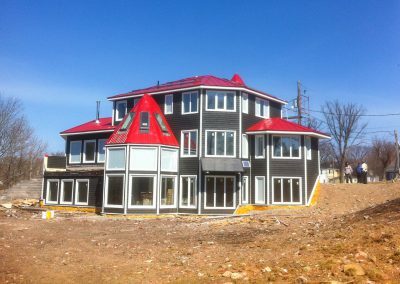 Appleseed are proud to be based on Janvrin’s Island, Cape Breton, and always will be. We support the local community, attending many fund-raising events. We employ fantastic professionals from our area, carpenters, electricians, and craftsmen and women. Family and community is important to us. 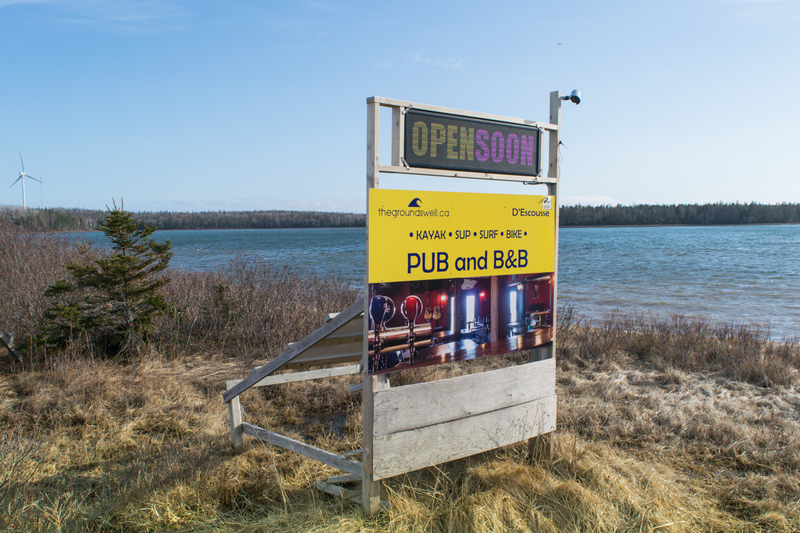 We love living here and we want to make this corner of rural Nova Scotia sustainable by doing our bit. We don’t chase the big dollar jobs from the city. We prefer to live humbly and simply in a place we love. It goes without saying, but as solar energy enthusiasts, we are eco-friendly. We help others become more environmentally-friendly: a typical house installation can save 500 tonnes of carbon per year. This is good for everyone. Our philosophy extends to every facet of our business, from materials, construction techniques, and travel hours. A business can be friendly to the environment and still make a profit. Brian and Gina, the owners of Appleseed, have lived off-grid for many years, growing vegetables, rearing animals, and recycling anything and everything. We don’t just talk the game, we live it too.